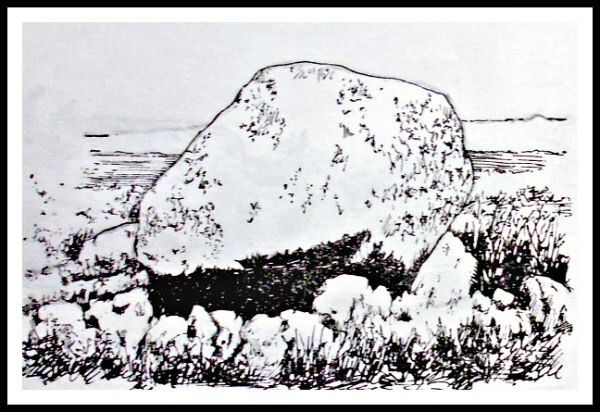 Maen Ceti (Arthur’s Stone) illustration. OS grid reference: SS 4914 9055. On the south-facing ridge of Cefn-y- Bryn, overlooking the village of Reynoldston, on the Gower Peninsula, stands the Neolithic burial chamber known as Maen Ceti, but more commonly known as ‘Arthur’s Stone’. Maen Ceti means just that – ‘The Stone of Ceti’. This well-known ancient, megalithic chambered tomb, with its huge capstone is variously known as a cromlech, a dolmen and a quoit, but they all mean the same thing in reality – a burial chamber. 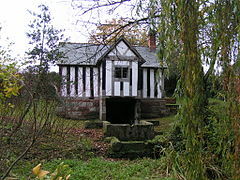 It is located 300 yards to the north of the main road that crosses Cefn Bryn – between Reynoldston and Cillibion – ¾ a mile to the east of Reynoldston village. There are many footpaths criss-crossing the 609 foot-high Cefn Bryn Hill, which is locally called ‘the common’, but at least two of these moorland paths head to Maen Ceti from the road; the ancient monument can quite easily be seen once you start to climb up onto the ridge itself. The village of Llanrhidian is a further mile to the north of Maen Ceti. 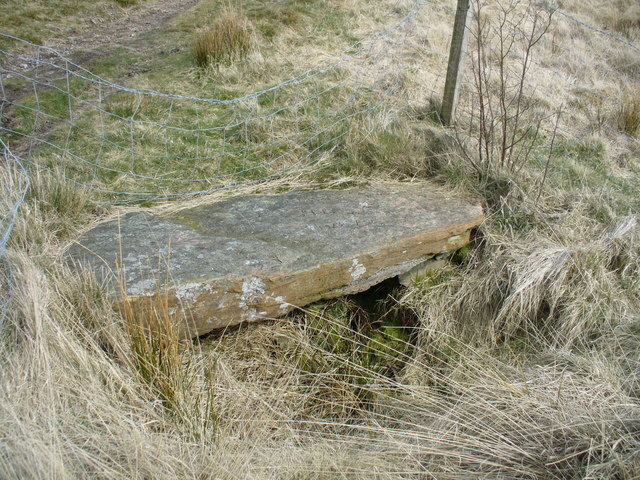 The monument is a double chambered tomb that consists of a huge capstone, a glacial boulder of millstone grit measuring 12 feet across, which is supported on four small up-rights, with a large part of the capstone having fallen to the ground at the side and another bit partly lying beneath the capstone, and there are six other small stones lying around the monument and beneath it, which presumably were up-rights that “now” don’t support the great stone. Maen Cetti burial chamber is 8 feet high and dates from the Neolithic – 2, 500 BC, or maybe earlier. The capstone weighs as much as 25 tons, or it used to do, so it would have been ‘a great fete of strength’ on the part of the builders of the monument. “The raising of the huge stone onto its supports has also be summed up in ancient records as one of ‘the three arduous undertakings accomplished in Britain, the old proverb: Mal gwaith Maen Ceti – ‘Like the labour of the Stone of Ceti” supports that fact, according to Chris Barber ‘More Mysterious Wales’. The burial chamber has taken a battering from the elements on the high ridge of Cefn Bryn, being very exposed to high winds and driving rain, ‘causing the capstone to split in two places – though this feature is often put down to other things in legend including King Arthur’s sword Excalibur and, even St David, who took a dislike to the pagan stone. Long ago a large mound of earth and stones covered the burial chamber, but nothing much of that remains – although there are traces of a ring cairn. Barber in ‘The Ancient Stones of Wales’, says that: “It is marked as Arthur’s Stone on the first Ordnance Survey map of 1830 and later editions.” He says that in its Welsh name “It is first mentioned in a Triad of the 10th century.” And that: “There are over 70 literary references to Arthur’s Stone and it is better documented than any other prehistoric stone monument in Wales.” Maen Ceti is “one of the wonders of the ancient isle of Britain” (The Gower Society, 1989). We know, however, that Maen Ceti pre-dates King Arthur and St David by thousands of years, but it is always a good thing to have a British king and a Welsh saint on-board. According to the legend: “When one day King Arthur was walking in Carmarthenshire he felt a pebble in his shoe and plucked it out and threw it into the air; it landed in Gower and became the capstone of Maen Ceti. So does the historical Arthur become inflated to gigantic stature” (Jacquetta Hawkes, 1973). Arthur’s Stone (Maen Ceti) is regarded as one of the most magical stones in Wales, according to Bill Anderton ‘Guide To Ancient Britain’, and he goes on to say that: “the holy well (Ffynnon Fair) along Cefn Bryn, as well as a number of standing stones, are all involved in a complex of ley lines. 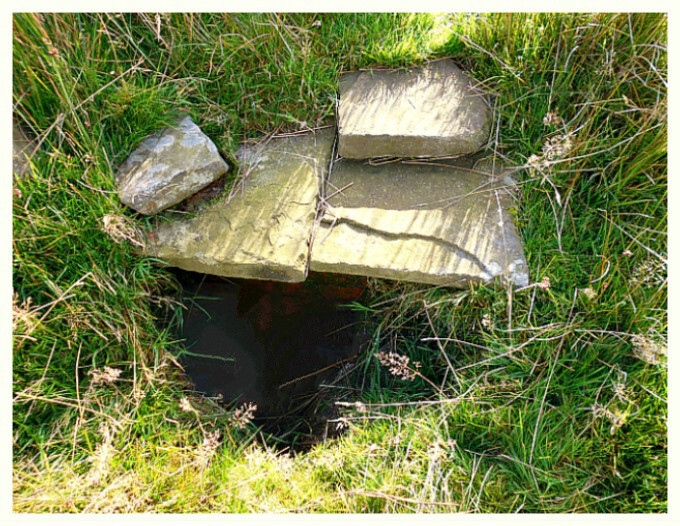 And says Anderton: “The name Arthur is probably a corruption of a more ancient word, yet it is the same Arthur who was supposed to have split the capstone with his sword.” There are other ancient burial tombs, cairns, hill-forts and earthworks in this particular area. Anderton, Bill., Guide To Ancient Britain, W. Foulsham, & Co. Ltd., Slough, Berkshire, 1991. Barber, Chris., More Mysterious Wales, Paladin Books, London W1X, 1987. Barber, Chris., Mysterious Wales, Paladin Books, London W1X, 1987. Hawkes, Jacquetta., A Guide To The Prehistoric And Roman Monuments In England And Wales, Cardinal, London, 1975. *The Gower Society, A Guide To Gower, The Publication Committee of The Gower Soc., (orig. prepared 1965. Edt. 1989). Categories: Burial Chambers, Cairn / Cairn Circle, Holy Well | Tags: Maen Ceti (Arthur's Stone) on Cefn Bryn near Reynoldston in Wales | Permalink. OS grid reference SD 8039 6538. 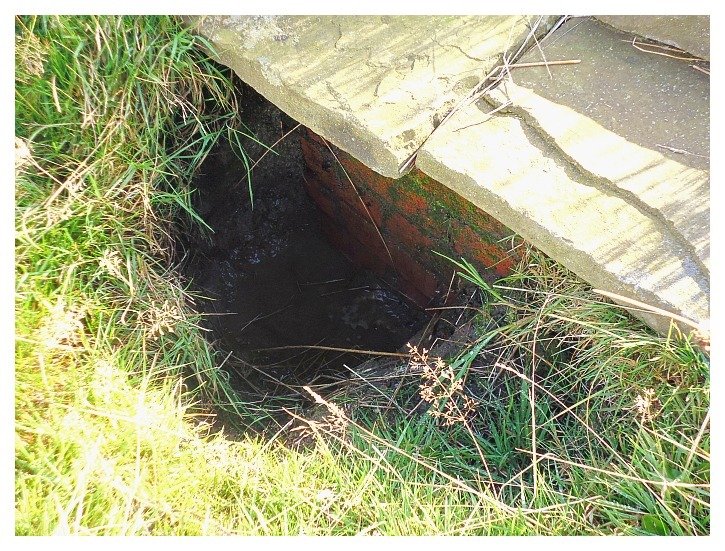 The Ebbing and Flowing Well is, perhaps rather annoyingly, located at the side of the busy B6480 (old Clapham road) out of the village of Giggleswick, about two-thirds of the way up the steep and ‘often very busy’ Buck Haw Brow, opposite Settle Golf-course. It’s about 1 mile north-west of Giggleswick and one-and-three-quarter miles from the town of Settle. The rocky and tree-covered Giggleswick Scar, formed from the South Craven Fault, towers above the curious holy well, which has long been famous for its abilities to “ebb and flow” though this does not occur as much as it used to do – due probably to the mining that now takes place over and on top of the scar, or some other atrocity. I should point out here that ‘it is quite dangerous to stand and view the well’ as there is a constant flow of vehicles rushing past the site and, it is therefore very difficult, if not dangerous to attempt to take photographs – so please “be warned” and do please stay very safe. 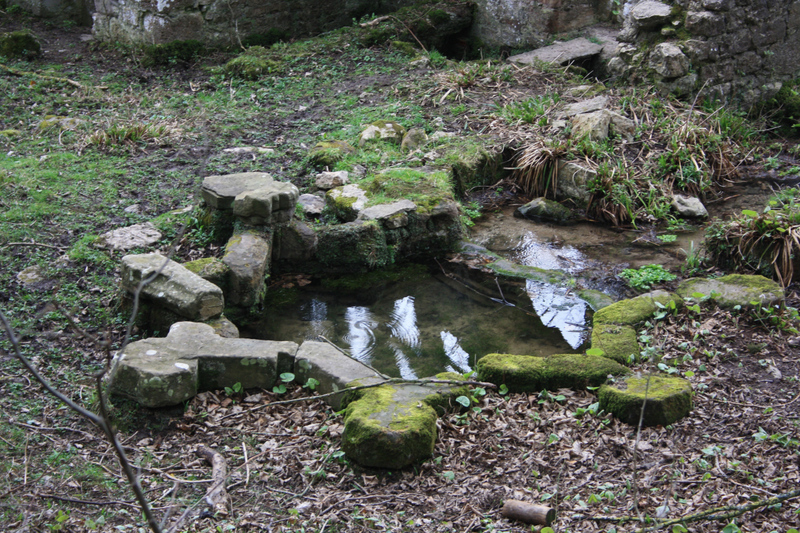 “Near to Giggleswick Scar is an oddity of nature, the Ebbing and Flowing Well. An explanation for its behavior is that a nymph who was being chased by a satyr prayed to the gods for help. They turned her into a spring of water, which still ebbs and flows with her panting breaths. In the past a few historians have tried to associate the Ebbing and Flowing Well with a local north-country saint – in this case St Alkelda – who is still venerated at the church in Giggleswick and, also at the church in Middleham, north Yorkshire, where she is said, according to the legend, to have been murdered by two Danish women in c 800 AD, or maybe in the 10th century so say some. Alkelda was an Anglo-Saxon princess and also a ‘devout’ Christian. One day she was approached by two pagan women who murdered her with a ‘thick scarf’ which they pulled tightly around her neck; this terrible crime probably took place where the church of Sts Mary & Alkelda now stands, or ‘maybe’ beside the well that is also named for her; and the church houses some fragments of a 15th century stained-glass window which depicts the saint’s martyrdom. Anderton, Bill., Guide To Ancient Britain, Foulsham, Slough Berkshire, 1991. Bord, Janet & Colin, Sacred Waters, Paladin Books, London W1X, 1986.
http://www.geograph.org.uk/photo/925879 © Copyright Humphrey Bolton and licensed for reuse under this Creative Commons Licence. Lofthouse, Jessica., Lancashire Countrygoer, (second edition), Robert Hale, London SW2, 1974. Reader’s Digest, Folklore Myths And Legends Of Britain, (Second Edition), The Reader’s Digest Association Limited, London, 1977. Spencer, Brian., The Visitor’s Guide To The Yorkshire Dales, Hunter Publishing Inc., Edison, NJ, USA, 1986. 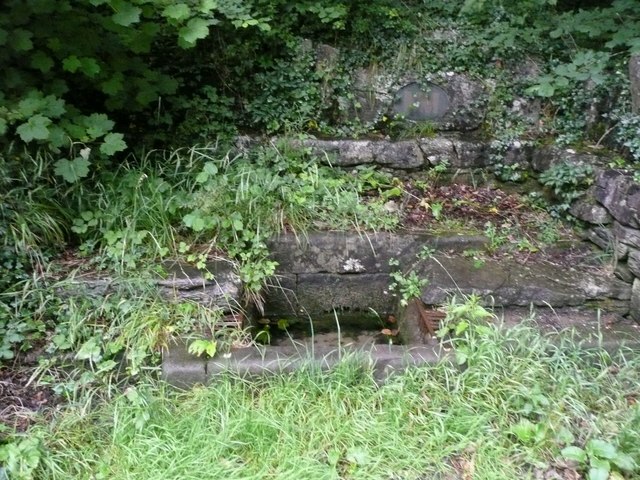 Categories: Holy Well, Misc Subjects, Myths And Legends | Tags: St Alkelda the Saxon Martyr, The Ebbing And Flowing Well at Giggleswick in North Yorkshire | Permalink.